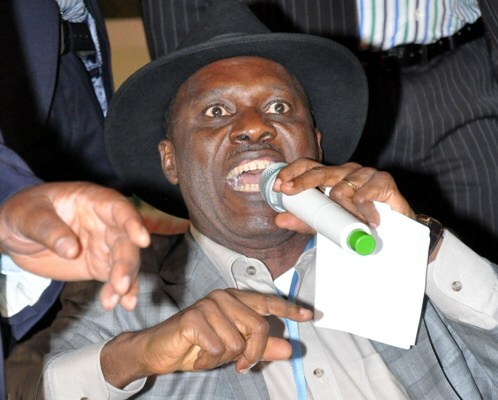 Godsday Orubebe charged for bribery and false declaration of assets! Orubebe vs Jega was almost a boiling point in the last elections.Godsday Orubebe openly showed his contempt that day for the APC and maybe APC.According to discussions among Nigerians,they feel Orubebe is now paying for that moment. behalf of the Attorney General of the Federation (AGF) by Peter Danladi of the CCB and summons was served on the ex- minister yesterday, Oct. 29. So is this really a witch hunt? Should it even matter if it is some ask? Should the most important question not be,is he guilty or not? I go with the latter.If they are guilty,i don't care why they are charged or arraigned. Famously,Godsday Orubebe apology followed his incredible performance at the election briefing with Atahiru Jega,but looks like an apology might not be enough to save him now.Remember those famous words of his? We won't take it! Well,he might not have a choice if he is found guilty,he will take it and more!